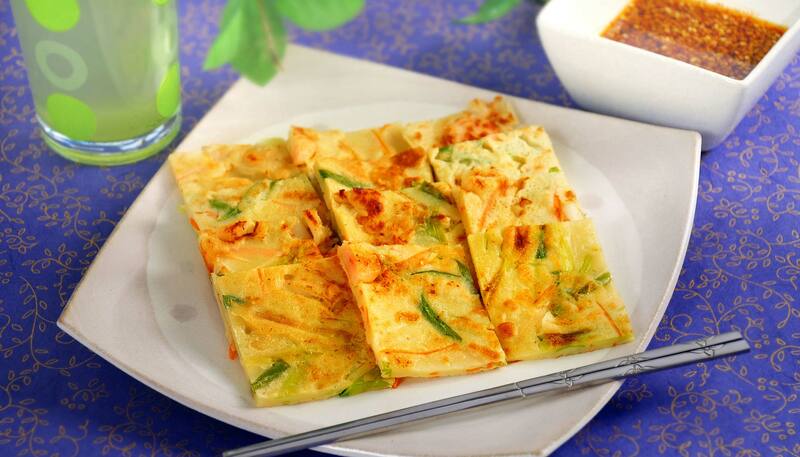 Try this popular Korean snack food at your home! This savory recipe is just one of many versions, and is great as a party appetizer. 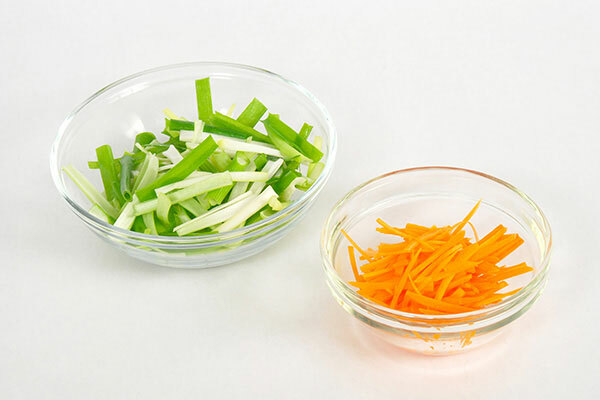 Chop green onion into 1 inch lengths strips, and julienne or grate carrot. 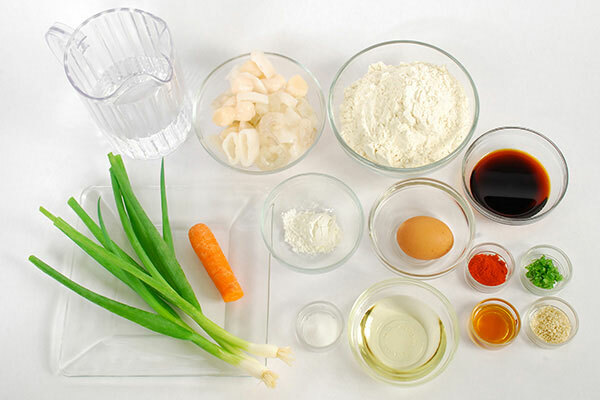 In a bowl, mix egg, flour, corn starch, salt and water. 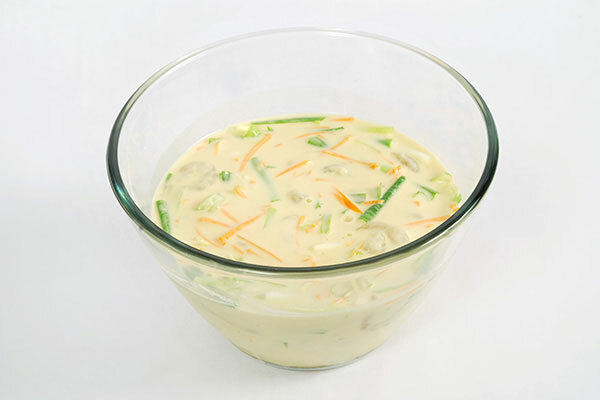 Add vegetables and seafood in the batter, set in the refrigerator for at least 3 hours, up to overnight. 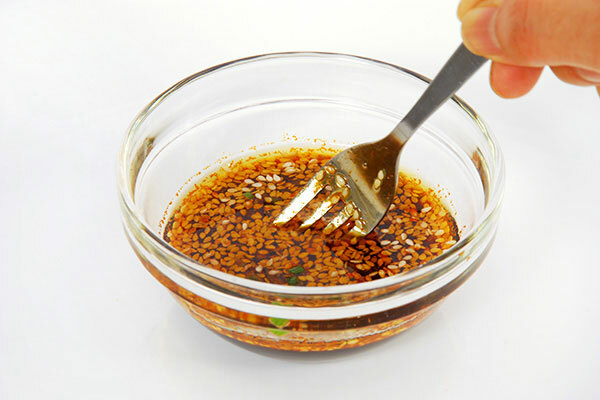 Combine all dipping sauce ingredients in a small bowl and keep in the refrigerator. 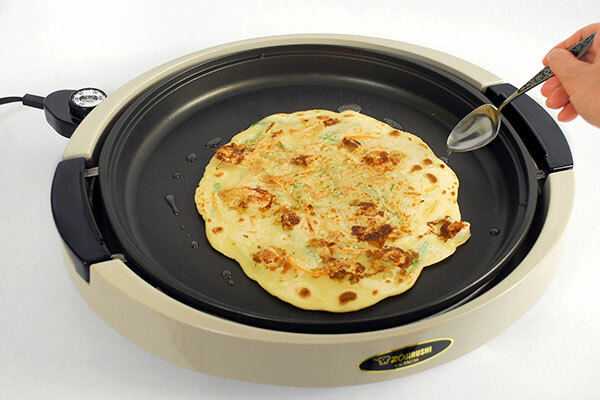 Turn the Gourmet Sizzler® Electric Griddle control knob to 400ºF, and grease with 1/2 Tbsp. vegetable oil when the pilot lamp turns off. Mix the prepared batter well, pour and spread 1/4 of the batter and cook for about two minutes to lightly brown the Jeon, then flip over. 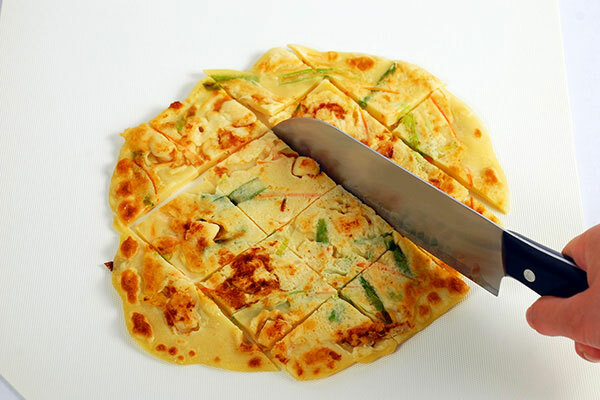 Press the surface of the Jeon down with a spatula to ensure the other side makes contact with the pan. 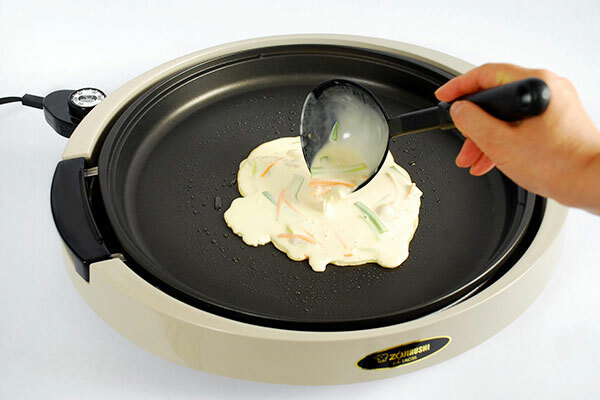 Flip the Jeon again and drizzle 1/2 Tbsp. oil around the edge of the Jeon. 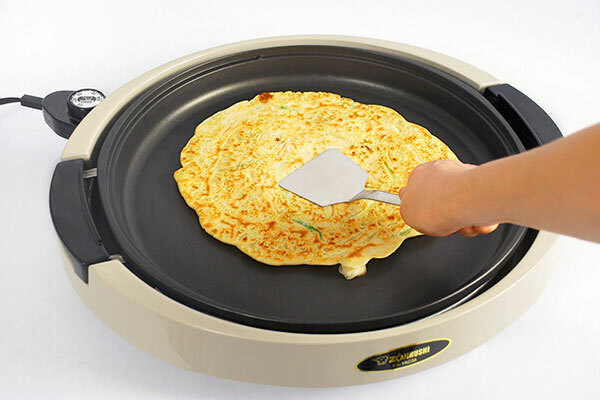 Flip again and cook until both sides are golden brown. 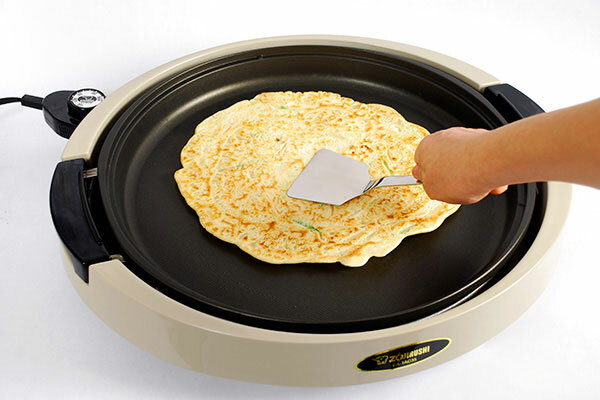 Cook the remaining batter to make four Jeons. Cut in bite size pieces, and serve while hot with dipping sauce.